Peter Schiff On The Markets: Where Is The Economic Recovery? All Indicators Are Pointing Lower! Where Is The Economic Recovery? All Indicators Are Pointing Lower! 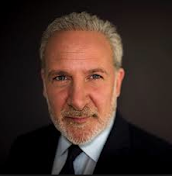 Peter Schiff gives his current assessment of the strength of the U.S. Economy.